It’s definitely starting to feel like summer over at Liqurious. 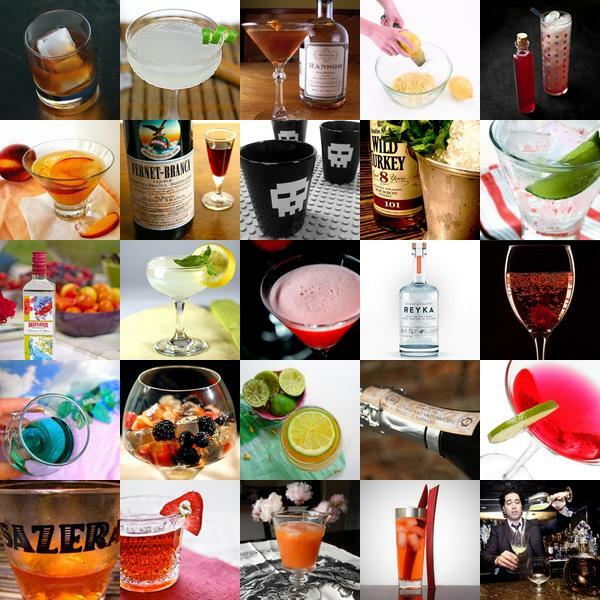 This week’s picks include a number of tantalizing summer cocktails. Click on the images to find out more. Vitamin Living always designs some of the sleekest “Urban Creatures” for the modern home that are somehow filled with so much character! 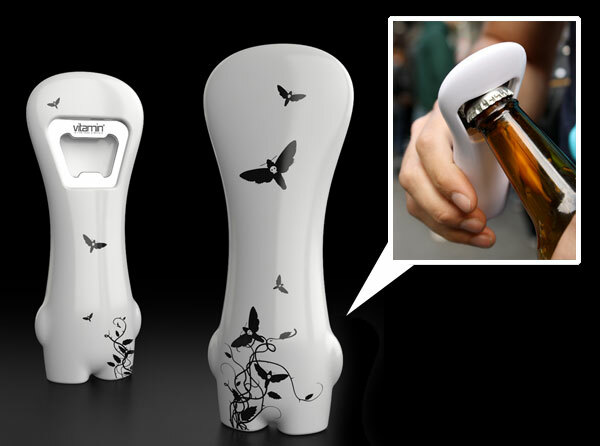 The latest from them are the Fang collection of bottle openers! There are 9 patterned versions of these vinyl creatures and one plain one (you can leave it as is, or customize it to your heart’s delight!) See the whole group of them on the next page! 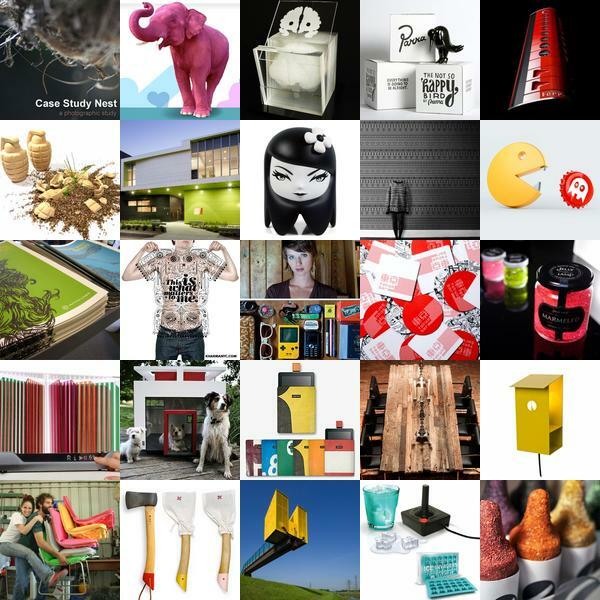 We’ve had a week full of playful design and vibrant color at NOTCOT.org. This week’s picks include seed grenades, clever ice cube trays, edible crayons and more. Click the images to discover each item. On fun long weekend emails ~ friends over at Cool Hunting sent over some pics of their new collaboration - “We partnered with Speck to produce 15 one-of-a-kind cases to giveaway along with the iPads we’re giving away to celebrate our Cool Hunting iPad app.” Fun thing? 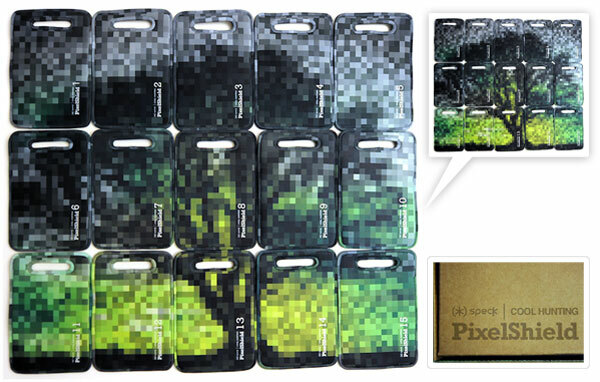 All the 15 limited edition cases can be combined to make the tree image! 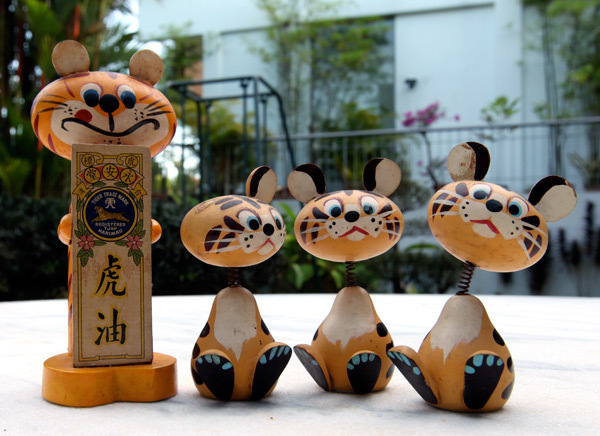 So whoever their 15 winners are, someday, somehow, Cool Hunting will need to get them all together to hold them up just like in the image above! Also the cut corrugated cardboard box these come in looks pretty sweet! See all the details on the next page! 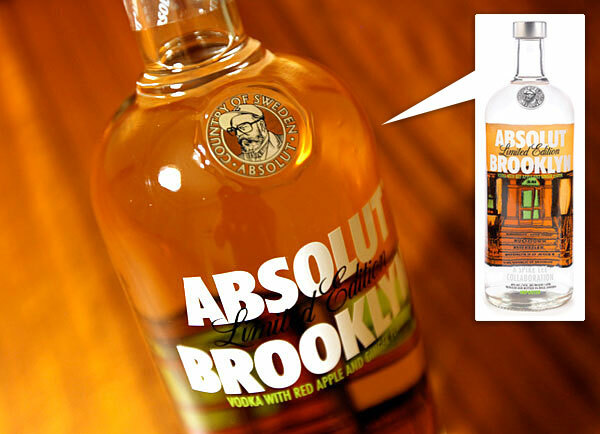 Freshly sent over from Absolut, Absolut Brooklyn ~ a collaboration with Spike Lee, it has one of the most unique Absolut packaging changes… can you believe they Spike Lee’d the seal?!?! Adding glasses and baseball cap on Lars Olsson Smith! Additionally they have a line from Lemon Andersen’s spoken word poem “Somewhere in the world Brooklyn in da house and you know we won’t stop spreading love cause that’s our way.” on the bottle alongside the silk screened image of an illustrated Brooklyn Stoop, which is #165 as a nod to Spike Lee’s brownstone roots. As for the flavor ~ it is a Red Apple and Ginger flavor ~ “its flavor evokes the spice and vibrancy Brooklyn brings to the big apple”… it’s quite delicious, though a bit jolly rancherish… Take a peek at more details on the next page! 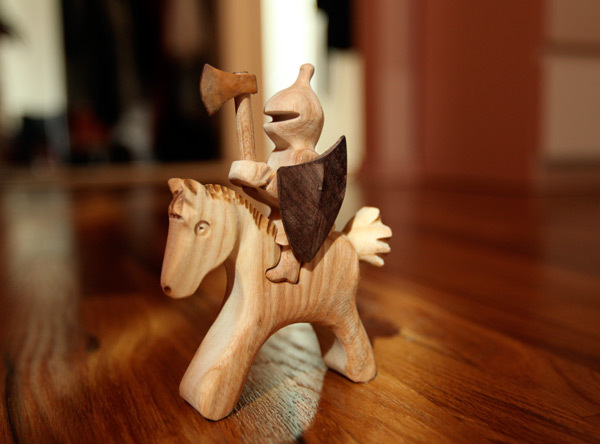 While trying to kill time in TriBeCa between meetings, i followed a recommendation to check out Playing Mantis for some fun wooden kids toys… and found the most amazing chess set of hungarian hand carved little knights… as well as these knights on horses. As you can imagine, it took a while to pick the perfect one, and i settled on this guy, because i simply had to get some close up pics to share with you! 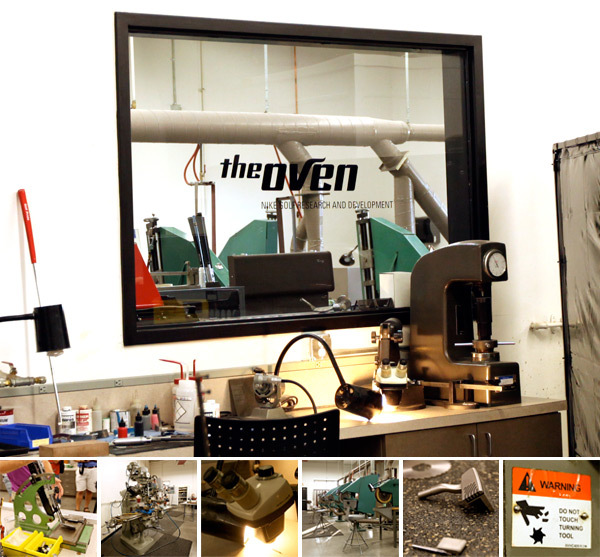 You’ve now seen the Nike Golf Oven Testing Facilities, and the awesome Putting Lab… i’d be remiss not to show you some of the fun machinery in the Nike Golf Oven Grind Shop, Machine Shop, Tour Shop, Engineering Labs, Durability Testing Labs and more! Personally, the manufacturing/prototyping/testing phases of industrial design have always fascinated me so ~ and there is some of the cutest iconography on the warning labels! So take a peek at fun machinery, labs, close ups into microscopes, prototypes and more on the next page! On geeking out at the Nike Golf Oven ~ i love their Putting Lab! (You saw the rest of the Nike Golf Oven Testing facilities in the last post!) 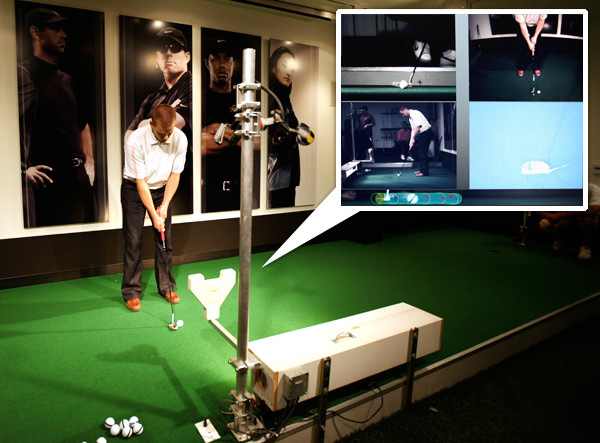 A super lit platform to test putters ~ surrounded by video cameras from above, beside, in front all capturing every moment as the striped ball rolls from the moment of impact… determining the exact amount of skid, rotation speeds, and more. The physics lessons learned during Nike Golf were so fun, if only someone had explained it to me in those terms when i was younger, understanding how putters differed would have made far more sense! (The gist of it ~ minimize skid, to get it rolling faster, faster it’s rolling the more stable it is.) So take a peek on the next page of the multiple camera set up, as well as the custom software made in collaboration with Vertex Golf to handle and process the various feeds. Thanks to Dusty from Gear Patrol who is the putting model in all of the shots and footage (and yes, the putt did go in)! So check out pics of the set up, the UI, and close ups of the Nike Golf Method Putters on the next page! Nike Golf’s R&D Facilities, The Oven, in Fort Worth, Texas are a little golfing haven all on their own (far from the Beaverton, OR Nike HQ!) ~ Amazing to hear the stories all of yesterday about how Nike has broken into the more traditional golf industry moving from apparel and footwear to balls and most recently to clubs the last decade… and their shift into clubs didn’t start from scratch, they acquired the 5 man team of IMPACT, lead by Tom Stites ~ an impressive golf focused engineering team with years of experience working with top brands and athletes… and they let them continue doing their thing in Fort Worth! Now here’s the part that i found most fascinating at the facilities ~ their testing space is essentially like an indoor putting green equivalent to a 6+ car garage, and on a nice day, you just open the three large garage door/windows and instant driving range clear out into their own short course complete with water features! What i’m hearing from all of the golf fanatics on the trip is that Nike takes a very technologically focused approach to product development and are one of the most daring with visually innovative designs in contrast to the traditional companies… so when it comes to testing, no wonder their set ups are fascinating! Between endless heads and shafts to mix and match in this one room ~ you have an incubator (a fridge FILLED with golf balls), walls of premade clubs to test, the robotic golfer, and a putting lab. 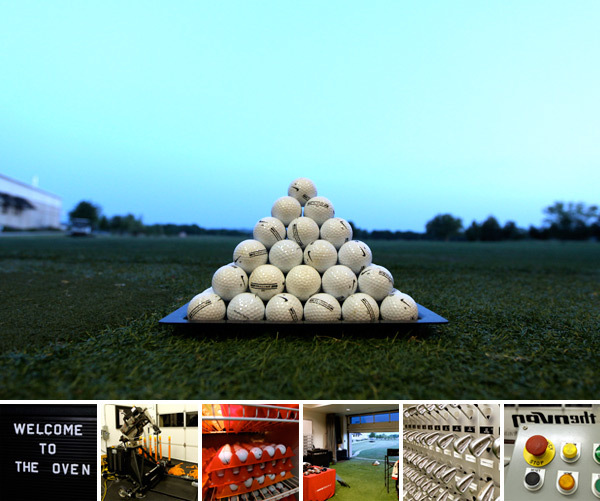 More to come on the putting lab next, but first take a peek at the testing facilities on the next page! It’s been an incredibly well rounded week on Notcouture, with plenty to drool over for him and for her. Whether you’re after clothing, shoes or accessories, this week’s roundup has it all. 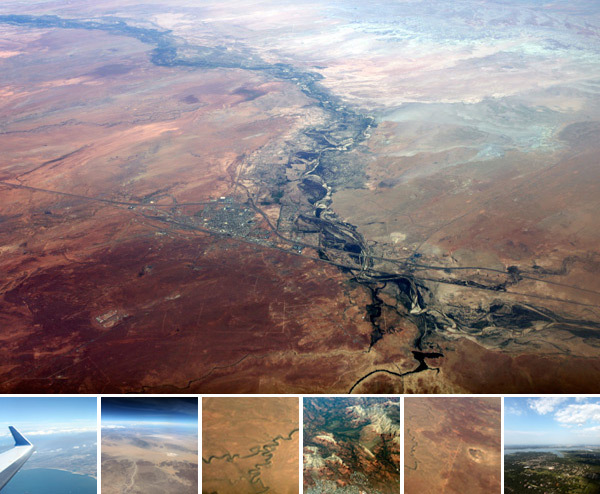 To find out more, click the images. New sponsored content series ~ this time Las Vegas is letting me rant and share some vegas awesomeness NOTCOT style! As usual, my pics, my story, they just give me an excuse to talk Vegas.. and share some of my favorite bits! 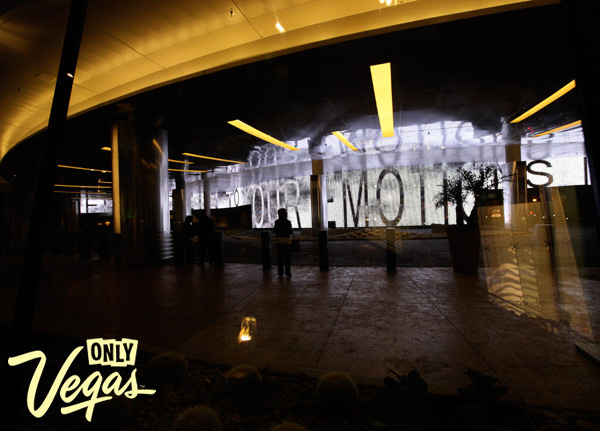 Who doesn’t find the “Truisms” of text artist, Jenny Holzer, intriguing… especially when paired with a huge Las Vegas drive way… like at the Aria at CityCenter? The Las Vegas Sun highlighted a few good ones (out of around 200 programed into the LED display art) - “It’s important to stay clean on all levels.” “Overeating should be criminal.” “If you live simply, there is nothing to worry about.” “It’s not good to operate on credit.” - also love the logic they highlighted here - “Holzer was tapped by Michele Quinn, whom MGM Mirage tasked with overseeing its ambitious public art effort. Quinn describes herself as “kind of a groupie” of Holzer’s, and says she thought such an LED installation could be the best use of such an awkward, dark space as this lower-level valet area. People would be waiting around anyway, so why not give them something to look at — and think about — as they departed?” So true! And as i stood there plastered against the glass window, a herd of frat boys behind me lining up for the club, i just couldn’t stop reading them…if only i’d known there were 200 at the time, i wouldn’t have felt so bad leaving in the midst of trying to read them all! I may have been there forever! Take a peek at a few closeups and some youtube videos i found on the next page! 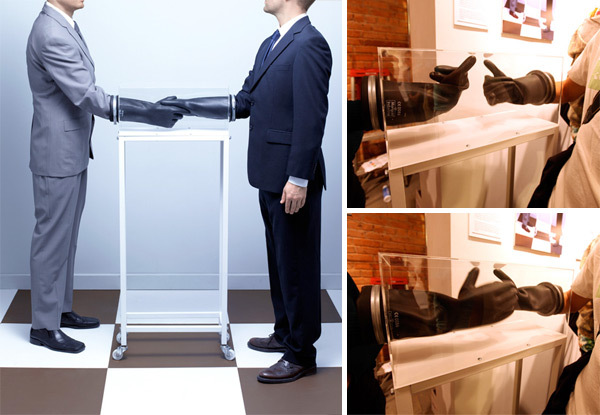 Dominic Wilcox’s Pre-Handshake Handshake Device was part of one of my favorite shows at NY Design Week, Uncomfortable Conversations. The Design Glut ladies curated an incredible show of pieces that veered on the art/installation side of design, and perhaps the most fun was the amount of interaction visitors had with pieces, and truly, the incredible conversations which naturally ensued. While his piece is set up to be that baby step for when “A traditional handshake can sometimes be just too big a step for those entrenched in their dislike of the other.” ~ luckily i recruited the happily married Sean and Anna of Sub-Studio to have a little fun with his piece, and they tried having a thumb war, doing secret handshakes, making shaka signs and more… Additionally, how beautiful are the photographs he has of the device? Large limited edition photographic prints in collaboration with photographer David Sykes will soon be available! See more pics on the next page! I’m loving all of these more luxurious Freitag bags, fun to see them evolving and growing up so much from when i first became obsessed with them in high school… With a title like: DAS MAGAZIN X FREITAG - A FREITAG BAG LIKE YOU’VE NEVER SEEN. ~ how can one not be intrigued? R099 WYSS IS FOR PEOPLE WHO WORK WITH PENS AND NOTEBOOKS. ~ Apparently its for people like us! If you interpret notebook to mean not only paper notebooks but digital ones as well… Their inspiration? “Laure Wyss was the journalist that founded one of Switzerland’s first (and best) weekly supplements, «DAS MAGAZIN» in 1970. And the new R099 is called WYSS because it was a journalist from «DAS MAGAZIN» who approached FREITAG asking for a special bag to meet his demands. The result is the «DAS MAGAZIN» special edition. A bag like you’ve never seen one by FREITAG. Made from vintage, unicolored truck tarpoulins, toting metal buckles and a totally new, antiquated appeal.” The design of the bag has evolved the recycled materials to no longer be the focal point of the design, so much as another material being used in a stunningly detailed bag, with metal buckles and a vintage inspired design ~ that will soften and age beautifully with use… see more pics of the new design on the next page!